Our natural mattress features 100% natural latex rubber, natural wool, certified organic cotton and up to 1,414 pocketed support coils. No polyurethane foams or toxic fire retardants. 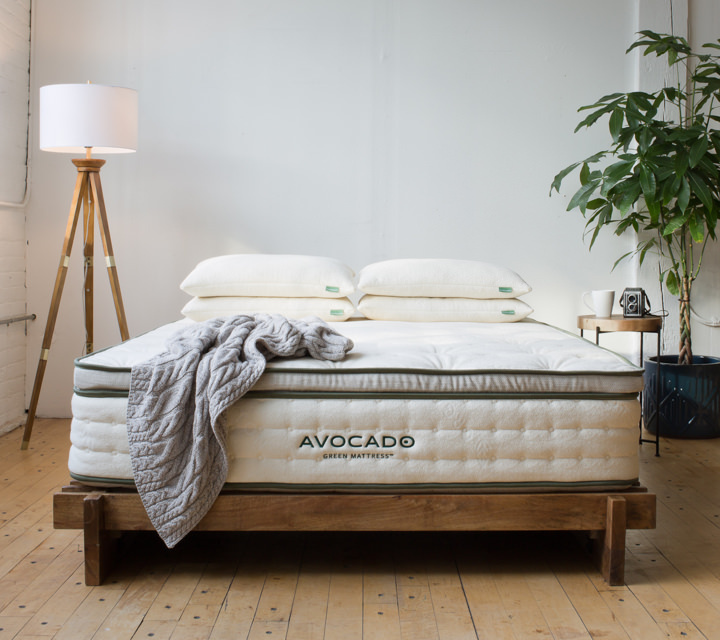 Or explore our Vegan Mattress made without wool. Our non toxic pillow is made from natural latex and natural Kapok fill, wrapped in a certified organic cotton cover, and delivers a fresh, medium-plush feel. It's also Greenguard Gold certified, vegan and handmade in Los Angeles. Optional pillow refill bags sold separately.